The timeline has been firmed up for the “Crossmen Alumni and Friends Play in the Park Project 2017” event coming up Saturday in Allentown. The Crossmen alumni corps is set to perform in exhibition at 5:15 PM at the DCI SoundSport venue outside J. Birney Crum Stadium, in conjunction with the Crossmen Hall of Fame induction ceremony. The corps will set up as soon as the SoundSport competition is finished. SoundSport, featuring three groups in competition, is scheduled to start at 4:30. If you want a good viewing spot for the Crossmen event, your best bet is to be there by 4:30. That way, you can also enjoy the SoundSport show!!! The alumni corps will be playing two songs during the Crossmen Hall of Fame ceremony... one tune near the beginning of the ceremony, and one at the end. Again, if you want to find out which songs will be played, come to the event. This whole idea got off the ground last fall, and the alumni corps has been rehearsing once a month since January under the watchful eyes of Crossmen icons such as Carl Ruocco, Mike Dennis, Matt Krempasky, and many others. 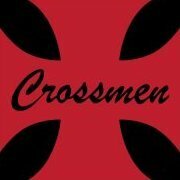 One primary goal has been to raise money to help with the purchase of a new equipment vehicle for the Crossmen. All performing members and staff involved with this project have donated money toward that goal. Congratulations to the Class of 2017 for a well-deserved honor. And if you can, please join us on Saturday, August 5, for the induction ceremony and "Crossmen Alumni and Friends Play in the Park Project 2017"!!! Before you ask...LOL... unfortunately, it's too late to sign up and perform with the group for this year. However... this certainly looks like it's going to be an annual event. So please keep this in mind for 2018, if you'd like to participate!!! Obviously, any and all former members of the Crossmen are welcome... but you do not need to be a Crossmen alum to take part. Shameless bump back to the first page, with a little more than a week to go. Wait a minute. People are going to hear us? New Information added. Bump back to Page One. Wish I could be there. Is this a new alumni corps or just for fun? This is a just for fun Crossmen Alumni and Friends Project for 2017 to support the New trailer champaign and to play for the current competitive Crossmen corps members in Allentown. Shameless "a few days to go" bump.